What I think: The label for this actually says that it smells like Bucks Fizz and when it is dissolved in the bath it actually does! Which is kind of odd. 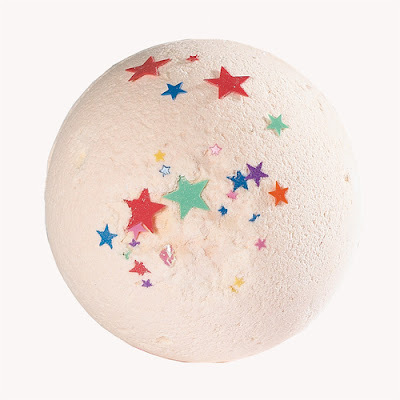 This ballistic is full of stars which I love when I’m in the bath but not when I get out. I think if I turned up to a party covered in the stars I’d be getting a few strange looks from my friends :D This is one of their faster fizzing ballistics and disappears within a matter of seconds leaving you water slightly orange.